Madrid exudes such positive energy that it’s a worthwhile destination for everyone of every age. We guarantee enough museums and galleries to satisfy every art lover in the family. There are plenty of music and dance performances to inspire your inner entertainer. And, grand palaces and statues to make your Bob the Builder want to become an architect. From bull fighting to flamenco, Madrid will awaken your senses and immerse your whole family in an experience they won’t soon forget. Note that most attractions are open year round, but many have extended hours during the summer months. 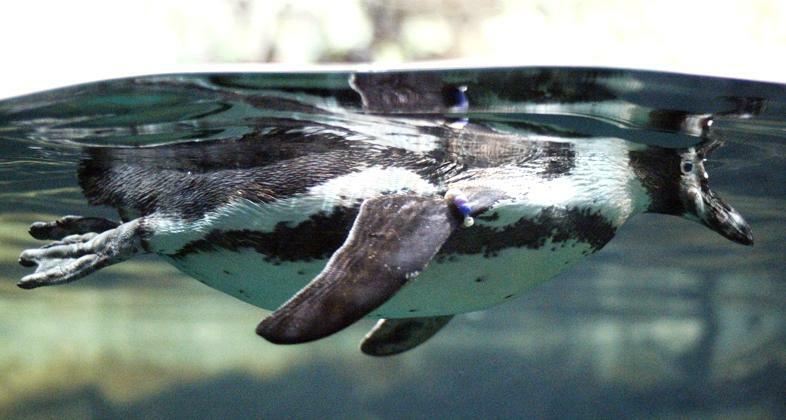 Humboldt penguins are just some of the stars at the Madrid Zoo and Aquarium. Within 54 landscaped acres, Zoo Aquarium Madrid houses 4,000 animals belonging to 500 different species — including the Giant Panda — and works with several Euroepean Union programs to conserve endangered species. They present many educational activities to raise awareness of animal and environmental preservation goals, but few are in English. However, there are several fun trained animal shows daily, and the Zoo is part of Parques Reunidos, a group with 60 parks in Europe and the US, so check if your admission ticket grants access to other amusement parks in Spain. With 3,000 animals and four different eco-systems, this nature park is both a fun and educational stop in your itinerary. Some animals roam free, so your kids will love petting and feeding them. The 300 species are grouped into 14 themed areas; there’s plenty to see and do, including family dolphin eexperiences. The Jungle section, a favorite, is an Amazon rainforest ecosystem that’s very humid and supports gorgeous flamingoes live in the huge lake. Ideal for the science buff or young tourists who want to do something fun — this museum boasts dinosaur skeletons, insects, plants and more from the natural world. There’s also a fascinating section on engineering and many educational programs for families, in Spanish. One of two waterparks in Madrid, this thrilling one has a few big kid attractions — the Turbolance, Boomerang, Splash and Kamikaze slides, plus several areas for for the younger ones. There’s the sand Malibu Beach for sunbathing, a variety of smaller waterslides, wave pools, lazy river, and kid activity centers for some splashing family fun. Open summers only. For a real break from the summer heat, take the kids to SnowZone, the year round ski and snowboard park that’s indoors. Lessons, gear and snowplay available daily. Spain’s royal palace, begun by King Felipe V in 1737 and completed in 1764, is the 100,000-square-meter former home of monarchs such as the popular Charles III, Charles IV, Alfonso XII and Alfonso XIII. A tour of the lavish interior passes by many of the 30 large halls designed for entertaining and royal business, some of the 44 staircases including the main one designed by Sabatini, and hundreds of chandeliers, tapestries, velvet walls, gilt furniture and a glittering Hall of Mirrors. Admission rates vary depending on which tours you take; children under 5 admitted free. Outside you’ll find the Plaza de Oriente, a landscaped square built after 1848 to protect the palace entry and display several of the statues designed for its cornice. Right next to the palace are the Jardines de Sabatini which have open air performances in the summer. Your family can enjoy a real taste of Madrid with an evening flamenco performance. We love the department store El Corte Ingles and the top value fashion house, Zara, but there’s so much more shopping in Madrid. In bohemian Chueca, teens are sure to find items they just can’t live without. Mercado de Fuencarral is the place to start, and you can stroll Calle Hortaleza for more retail bliss. Not far away, the area known as Triball in Malasaña (look for Calle de la Ballesta), where the 1980s movida madrileña movement began, hasbecome the trending place for young styles, from sustainable art to food and fashion. Salamanca, a barrio just north of the Museo del Prado, may have the city’s best shopping for affluent adults, because it features the top European and Spanish designers in streetfront shops of attractive 19th and 20th century apartment buildings. Start at Calle Jorge Juan then splurge on Calle Serrano. There are also small boutiques with have unique items that you won’t find anywhere else; shoes are a pretty good deal almost anywhere. If you have a Sunday in your itinerary, start the day at the city’s oldest flea market, El Rastro. Not a place to find antiques of value, El Rastro concentrates on clothes, some junky toys, socks and underwear, myriad collections of ethnic arts, crafts and fabrics, soccer gear, lace tablecloths, surprising flamenco accessories, watercolors and some oil paintings done by local artists. Futbol, or soccer as we call it, is a quintessential part of Spanish culture and going to a game can be a fun treat for the whole family, especially sports fans. Tickets for the world famous Real Madrid can be purchased online, over the phone or at the stadium box office number. We advise buying tickets a couple weeks in advance; soccer is extremely popular here. Visit the Real Madrid website for more information on the next match and how to get tickets. Your family can also buy tour tickets and take an in-depth tour of the stadium, visiting the dugout, trophy room and press box, although hours are restricted on game days. Hop on this fun cable car that soars 125 feet above the city for a great view and fun audio tour that provides an overview of the main attractions. The Prado is the centerpiece of Madrid’s Art Walk, a route that includes two other world-class museums (see below) that even young children will appreciate on a brief visit. The Prado has the world’s foremost collection of the Spanish artists Velazquez, Goya, el Greco, Zurbaran and Ribera. Housed in an 18th century palace designed by Villanueva, it is considered the nation’s premier art museum, whose extensive holdings were curated by Pablo Picasso himself during the 1930s. Families traveling with younger children will want to begin at the main gift shop, where a few children’s books in several languages describe the collection. Because the museum is so large, you’ll have to limit your visit to certain galleries or return over a few days. With a rich collection devoted to Spanish and international modern art — plus Guernica, Picasso’s most famous painting — this museum is a gem. The main collection is hung in a restored hospital building with a bright central garden and gleaming exterior elevators that was expanded to include more exhibition space for temporary art shows and video installations, bookshop, library, and a large cafe. Closed Tuesday. A vast collection of paintings and sculpture ranging from Flemish primitives to Italian masters to contemporary art grace this museum, all of which were given by the Thyssen Family over the years. There’s a popular indoor/outdoor cafe for visitors if you prefer not to snack in Buen Retiro Park across the street. Retiro Park, built for royalty in the 17th century, provides a peaceful haven in the middle of Madrid, complete with history, sculptures, beautiful architecture and fountains. There’s a large pond, the Estanque, with rentable rowboats and sometimes, mostly on warm weekends, there are puppet shows for kids, fortunetellers and performers. Enjoy a relaxing cup of coffee at one of the cafes and if you’re lucky, you may hear a musician’s tune filling the natural surroundings. Master torrero, the bullfighter Joserra Lozano, competes at the Plaza Uno bullfighting stadium. If you happen to be in Madrid during the limited bullfighting season, seeing a fight is truly an experience of Spanish tradition. While it might be too gory for children, parents and older children can certainly cheer on the toreros as they put on a dangerous and captivating show. 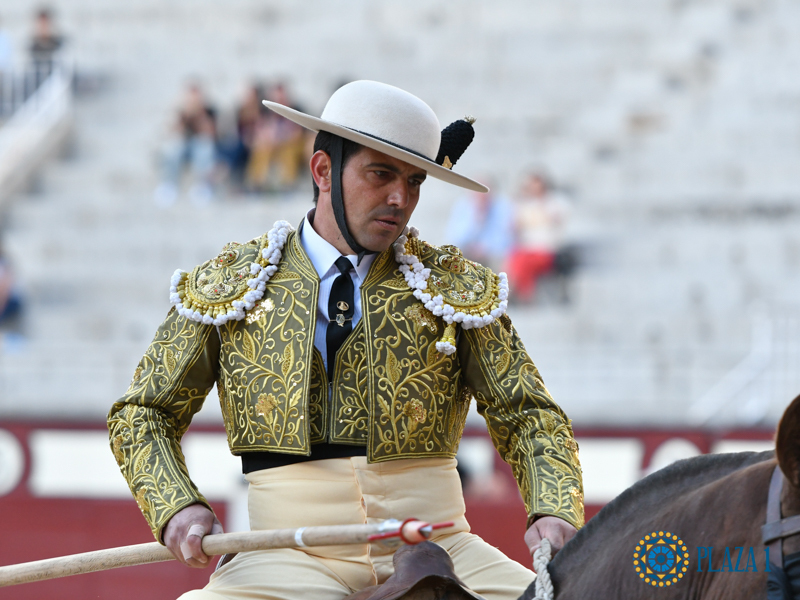 If you feel that a bullfight might be too graphic for your kids, they can still take a Tauro Tour and learn all about the history of this tradition and see the world’s most famous bullring. The tour starts outside the stadium and continues inside, even allowing the visitors to stand in the main ring. Check the website for tour times. On the shores of the Manzanares River, this green park shows off smart urban development. Stroll, bike ride (there’s BiciMAD bikeshare docking stations), skateboard or enjoy the playgrounds at this urban oasis. Sustainably built, the waterfront park has 17 play areas geared to different ages and activity levels, plus several public spaces for live music and performing arts events. Even though this is a restaurant; the main reason to go to Chinitas isn’t the food (although the desserts are terrific). Rather, it’s the authentic flamenco that draws real crowds, both local — including author Garcia Lorca — and tourist to this classic establishment. The shows don’t usually start until after 9 pm, but experiencing real Spanish culture through the art of dance will make the late hour worth it. If you’re not sure what you want to see, the central tourist office, Centro de Turismo de Madrid at Plaza Mayor, 27 (34 91 578 78 10) publishes many brochures defining thematic walks through this beautiful city, sells tour and bus tickets, have events calendars and is a treasury of information (and free WiFi) open daily 9:30am-9:30pm.